My-picture.co.uk are an online store offering various printed products you can personalise with your own images. The list of products includes wall art, photo books and home/lifestyle products such as mugs and cushions. Prices start from as little as £6.99 for a canvas print which is a bit of a bargain but what type of service do My-picture offer and are the products worthy of a place on your living room wall? We find out as we put them to the test. We've already mentioned that My-picture offers various items, so many in fact that we've chosen just three to feature in our review which is a canvas, acrylic and aluminium print. To see what other products you can design with the help of My-picture, visit the My-picture website. All three prints arrived individually, protected by bubble wrap and secured in a cardboard box. None of the products arrived damaged and the acrylic and aluminium-fronted products had a protective layer over the image which could be peeled off, making sure no scratches were created during transit. All three products are well made and even the family portrait, which was captured on a mobile phone so the resolution isn't quite as high, looks great. My picture does recommend that files have a minimum resolution of 75 DPI so do keep this in mind when ordering to ensure your prints are of the highest quality possible. 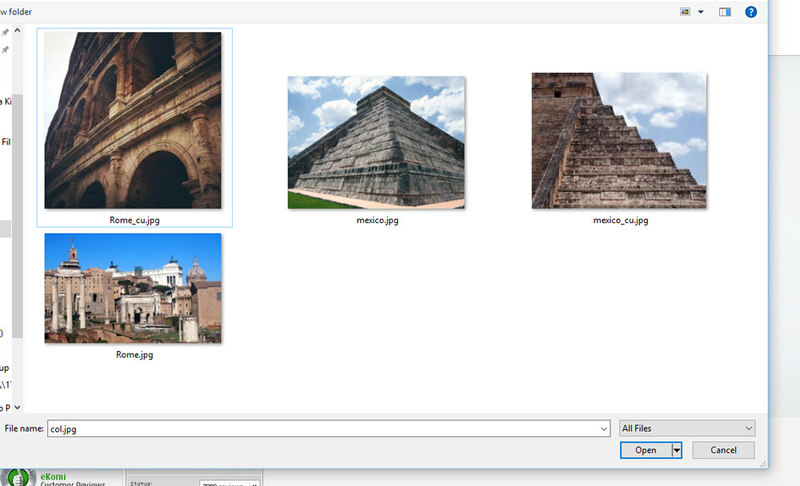 As you'd expect, various image types are accepted and they can be up to 60MB in size. Placing an order couldn't be easier as you just upload a photo to their server from your computer, choose the desired size for your product, along with what border thickness you want and the edge style you'd like, and add the product to the shopping cart. If you like, you can turn your images black & white with the 'effects' section but you can't make any other edits to images so if you're not happy with something, you'll have to readjust the photo in Photoshop and reupload it but this isn't uncommon for this sort of service and it gives you more control over the colours etc. anyway. There isn't an option to upload images from an online gallery or Dropbox as some companies offer but as you'll have your images saved on a hard drive, this isn't really an issue. The options available when ordering are self-explanatory and there's nothing that's overly complicated, but if you do get stuck, there are '?' icons you can click that explain what a particular section is for. The uploader is also intelligent and will only give you format sizes to choose from that the resolution of your image will allow. This will, hopefully, prevent you from choosing a format that will ruin your print. One slightly annoying thing is that the hanging sets needed to mount the prints to a wall do not come included and will cost you an extra £4 on top of your print price. Other companies, such as Pixum, offer basic hanging kits for free so this is a little disappointing but even when you add the hanging kit price to the cost of the print, the My-Picture products are still generally cheaper. The low prices offered by My-Picture might put some off purchasing prints as you may think the print quality won't be that high but you'll be pleasantly surprised. The Canvas, Acrylic and Aluminium prints we ordered are all in a 40x30cm format and all of the standard options were selected, we didn't use premium frames or add easels etc. 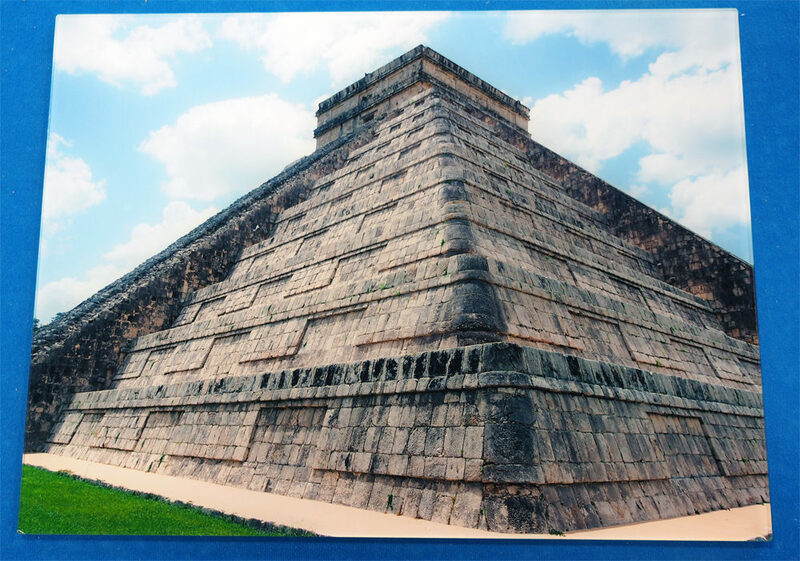 The image used on the canvas was captured on a mobile phone and to say the resolution wasn't as high as the image of Chichen Itza, captured with an Olympus PEN and used on the other two prints, the quality is pleasing. The image above actually doesn't do the product justice (it looks even better in real life) as the colours are vibrant and true-to-life. We used a smartphone snap just to see how well they look on a My-picture canvas and the results are pretty good. Plus, there are many people who just take images on their smartphones now who may want to produce wall art so it's a good test. 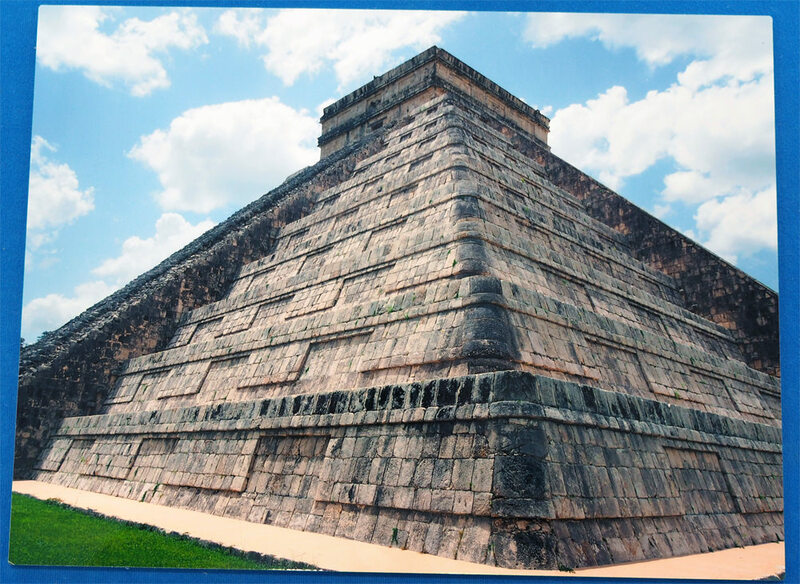 We will say that when you're stood really close to the print, you do notice that the resolution is a little low but when mounted on a wall, it does look good and how often will you be stood nose distance away from a canvas in your house anyway? Plus, this is down to the resolution of the image and not My-picture's printing skills. My-picture uses HP latex printer ink with UV protection on their canvas prints to ensure image quality and they are also completely free of solvents so are suitable for homes where allergy sufferers and children live. The canvas print is hand-stretched onto a solid spruce frame that's 2cm thick but there is a 4cm frame available should you want a slightly larger format at an additional cost. There are also 4 frame choices available and an easel can be added (on some sizes), again, for an additional fee. 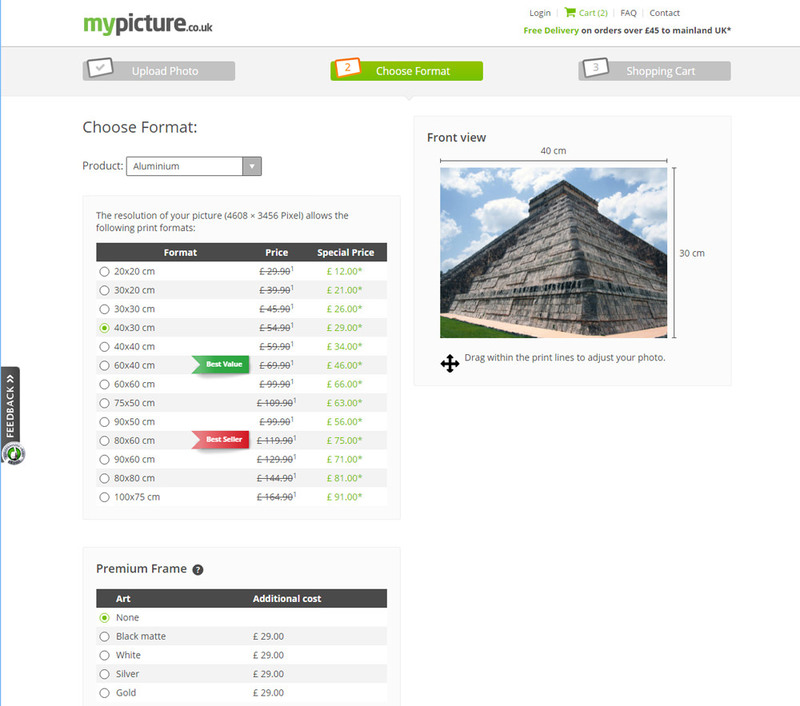 Like the other photo product sites out there, My-picture offers various options for the border of your print. This is the area that wraps around the edges of the frame and it can be folded, stretched, mirrored, black or white. There's a handy diagram when selecting which border you like that shows where it will begin so you can position your print so no important details are removed from the front of the canvas. Overall, the canvas frame is strong, well built and the print it pulled tight across the frame. Colour reproduction is excellent and it's a really pleasing image that looks great on the wall. If you don't purchase the additional hanging set, you can use two small screws to hang the canvas on (depending on its size) as it's actually really lightweight. Acrylic prints are lovely things as they allow light to shine through, illuminating the colours and creating depth as a result. 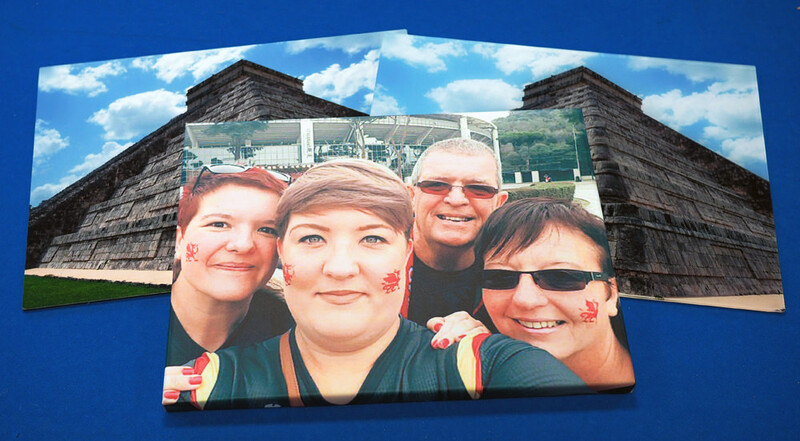 With My-picture, a digital photo print is laminated onto plastic glass that is 3mm thick and the edges of the image are polished to ensure quality. There are premium options available but we were more than happy with the basic version and it will no doubt look fantastic when mounted on the wall. Overall, the Acrylic print feels strong, well-made and the print quality is superb. Colours are vibrant and the print retains the quality of the original photo. Aluminium prints from My-picture are laminated onto high-quality photo paper which is precisely cut onto an aluminium composite panel. The core of the back is made of plastic that makes the print lightweight as well as stable. The black plastic core is enclosed between two fine aluminium sheets that give the finished product a silver shine. A glossy foil film is also applied to protect the print, particularly in rooms with high humidity. Overall, the Aluminium print is a really lovely piece of wall art. The colours and sharpness levels are great and the shine from the aluminium really enhances the photo. Delivery times for the basic prints listed above are around 3-5 working days and if you spend over £45, delivery is free in the UK. Anything less than £45 and it'll cost you £5 for your P&P. From ordering the products to delivery at the office was 5 working days and we were kept up-to-date on our order via email. 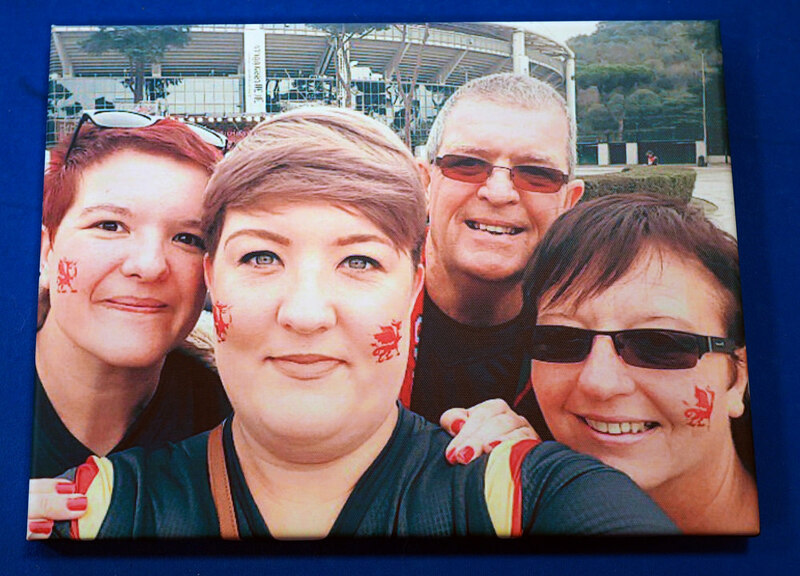 The cost of each product varies depending what size you want and if you add any premium extras but as a guide, a 20x20cm canvas is priced at just £6 which is a real bargain. The 40x30cm option we chose, which will be about the right size for a small living room, is available for £14. Acrylics start at £20 and a 20x20cm Aluminium print is available for £12. 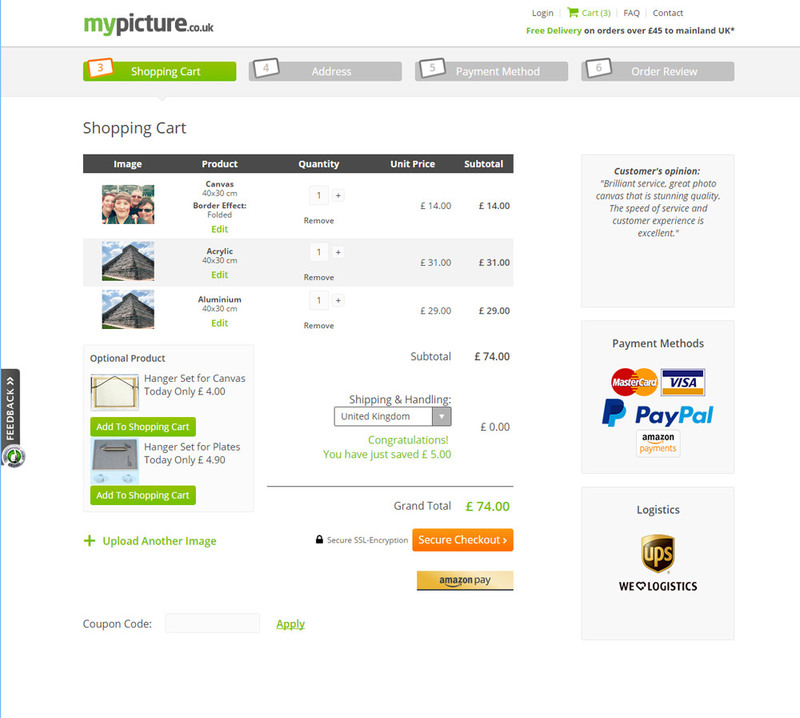 There are delivery charges to take into account and hanging tools, priced at £4, should you need them but even when taking these into consideration, the price of the My-Picture products are still incredibly reasonable. Other manufacturers creating wall art at a similar quality include Pixum, Albelli and Vistaprint but do a quick Google and you will find plenty more. We have to say that for products that are so inexpensive, the quality is really excellent. All are well made, sturdy and colour reproduction is spot on. The canvas prints make great, reasonably priced gifts for loved ones while the Acrylic and Aluminium prints are cool products that will make a great feature on a minimalist wall. Having to pay extra for mounting equipment is slightly annoying but the kits aren't expensive should you want to use them and even when they are included, the prints are still very reasonably priced. As you'd expect, making a product a little bit more special comes at a premium but you don't have to add frames, use thicker wood or fit an easel to your prints if you don't want to. Overall, we are more than happy to 'Highly Recommend' the wall art products we've put to the test from My-picture.co.uk as they're a bit of a bargain and look great. For products that are so inexpensive, the quality is really excellent. You don't mention what colour space they will accept? 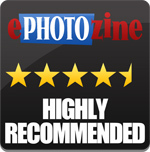 Is it sRGB or can they work with Prophoto etc? My-Picture recommend using the colour space Adobe RGB in 1998 and to check the colour reproduction with Fogra 39 color profile. I've used My-Picture for a few canvases and here's my view. The prices are low, and if you're a professional photographer they do have a separate pricing matrix for trade with discount levels that kick in at different spend levels. This makes them very reasonable, but at a price - and that price is quality I'm afraid. You see, they use the thinnest canvas material you can get away with really, and 6 ink HP machines just aren't as sharp as the 12 ink Epson's used by the more expensive produces. 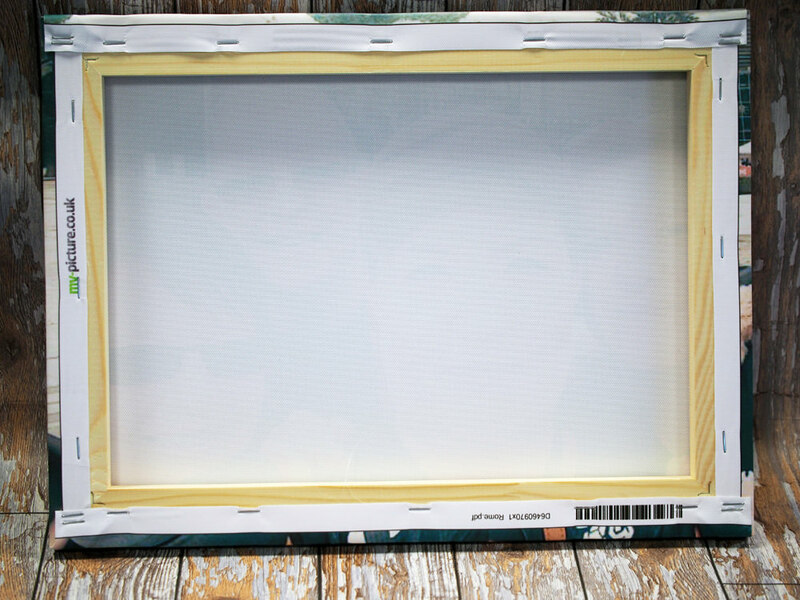 As a result of the thinner canvas, if you have a light colour near the edge (such as a light sky) you will see the wooden frame through the canvas, as it adds a yellow/brown tint to the colour (the colour of the wood coming through). And because the frame material they use isn't fully curved, it can create a crease on the canvas against the inner edge of the frame during transit, which you then have to get rid of with water applied to the back (carefully!). Also on larger canvases the wrapping/stretching isn't the best with uneven edges - slight undulations are visible. Having said all that, I've had a few done for my gallery, for my home, and even for a couple of customers (who had a tiny budget) because the quality is consistent, and with the right subject can look brilliant - way better than the price would suggest (but never on a par with someone like Print Foundry), and the service is excellent. I'd never use them for a portrait or wedding image, but for landscapes with the right subject they are ok. I've not yet tried the aluminium or acrylic as there's no hiding place for quality in those items, but I will try them at some point to see what they're like. I've used My-Picture for a few canvases and here's my view. The prices are low, and if you're a professional photographer they do have a separate pricing matrix for trade with discount levels that kick in at different spend levels. This makes them very reasonable, but at a price - and that price is quality I'm afraid. You see, they use the thinnest canvas material you can get away with really, and 6 ink HP machines just aren't as sharp as the 12 ink Epson's used by the more expensive produces. As a result of the thinner canvas, if you have a light colour near the edge (such as a light sky) you will see the wooden frame through the canvas, as it adds a yellow/brown tint to the colour (the colour of the wood coming through). And because the frame material they use isn't fully curved, it can create a crease on the canvas against the inner edge of the frame during transit, which you then have to get rid of with water applied to the back (carefully!). Also on larger canvases the wrapping/stretching isn't the best with uneven edges - slight undulations are visible. Having said all that, I've had a few done for my gallery, for my home, and even for a couple of customers (who had a tiny budget) because the quality is consistent, and with the right subject can look brilliant - way better than the price would suggest (but never on a par with someone like Print Foundry), and the service is excellent. I'd never use them for a portrait or wedding image, but for landscapes with the right subject they are ok. I've not yet tried the aluminium or acrylic as there's no hiding place for quality in those items, but I will try them at some point to see what they're like. Completely agree with RJPhoto, they are ok for those not that concerned with quality, or only focused on spending as little as possible. Further to my comments in April, I've since ordered an aluminium print from My-Picture. I have to say the quality is very, very good. Ok, so there's a tiny little bit of grit/imperfection got in under the print, but to be honest, this was the norm from DS Colour Labs, who are far more expensive. Only other consideration is I needed to get my scalper to one edge to tidy up the lamination where it had been trimmed on the edge, but again, this is very minor. I paid for the hanging kit to come and it's a doddle to put on. A bonus is that the corners are slightly rounded, not square (very small rounding off) which you pay extra for at other companies, which is nice. Note that it is a small rounding, so it doesn't detract from your photo, as I know some prefer nice sharp corners. In conclusion, whereas I wouldn't use their canvases for a quality item, I would use their aluminium (if I don't need a metallic print finish). I'll be giving their acrylic a go in a month or so, and as the highest quality one they do is based on the aluminium then I expect good results. Does anyone know the name of the company that supplies my picture with their prints? I think they are based in germany based on the shipping slip that came with my picture. I'm looking for a good reseller to print my work white label and on demand and wanted to approach the company directly. Many thanks if anyone can help or suggest anyone else!